A travel writer far wiser and more experienced than I once told me that the north west of Argentina was his favourite place in the world. I figured he’d seen a lot of the planet and if a place stood out that much, it had surely got to be worth seeing. Enroute from a cowboy festival in Uruguay, to the salt flats of Uyuni in Bolivia, this was the perfect opportunity to see for myself just what made this part of Argentina so special. It was straightforward to arrange a flight to Salta. From there, I planned to catch local buses all the way to La Quiaca, stopping off along the way and crossing the border into Bolivia. I’m pleased to report it didn’t disappoint. Here are what I’d consider the highlights from my trip and one that frustratingly, I had to pass up. Salta is home to three very special children. They’re long dead, but their well-preserved features belie their date of death. From a modern perspective, it’s hard to understand the Inca ritual of child sacrifice. 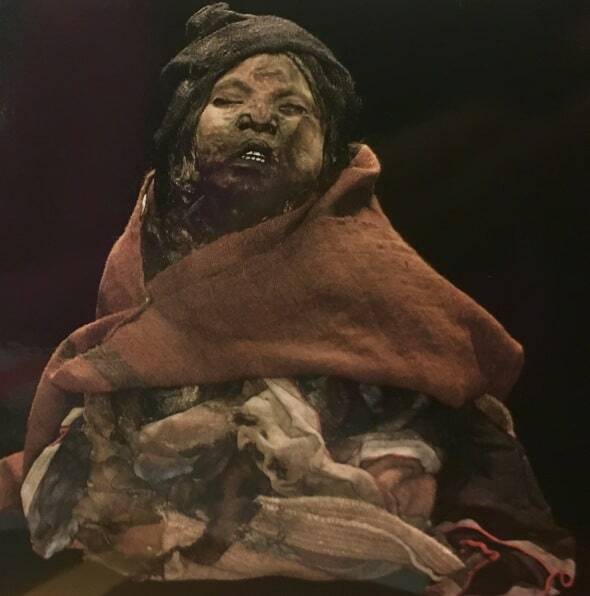 But not far from Salta’s plaza, on the top of a 6700m high volcano named Llullaillaco, a team of mountaineers and archaeologists discovered the mummified remains of three children. You can see one of them at a time on display at MAAM in Salta and it’s a poignant and haunting sight. I saw the Lightning Girl, her white milk teeth a giveaway that she’d been just five or six years old when she died. 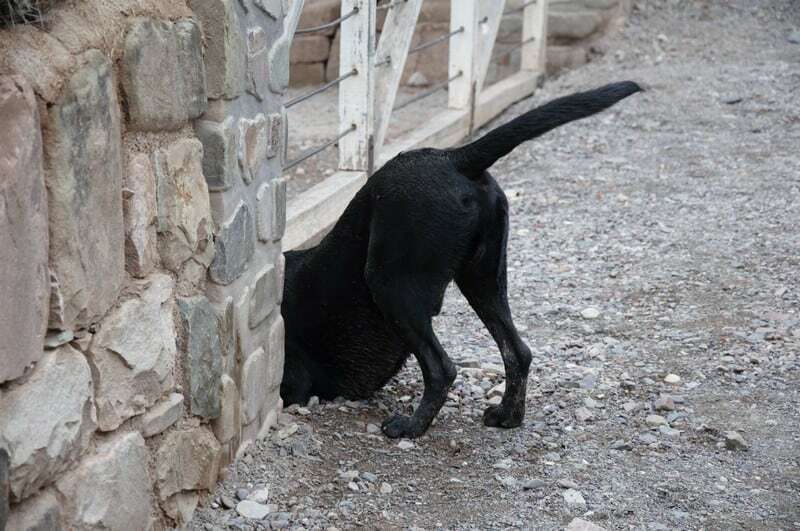 Unlike the others, she didn’t bury her head into her knees, instead she looked straight ahead. Had she been too young to comprehend what had happened to her? 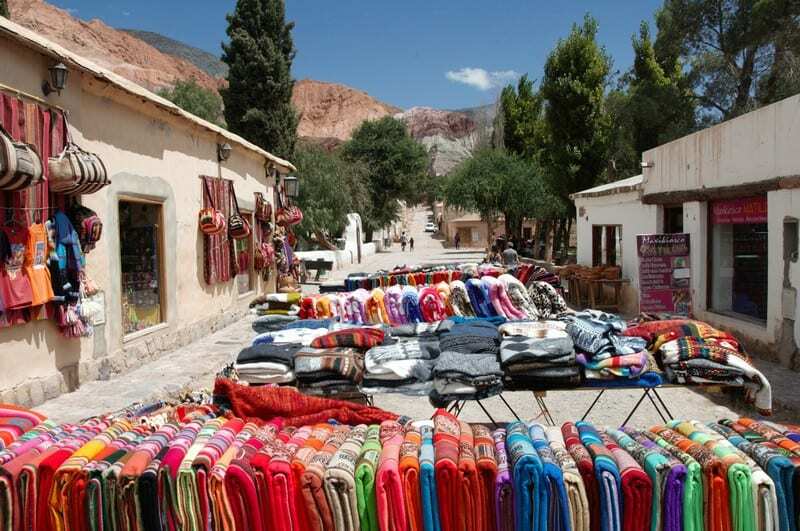 Purmamarca was my first stop along what’s called the Quebrada de Humahuaca, a narrow valley characterised by cacti, russet-coloured rocks and dusty towns crammed full of adobe homes. 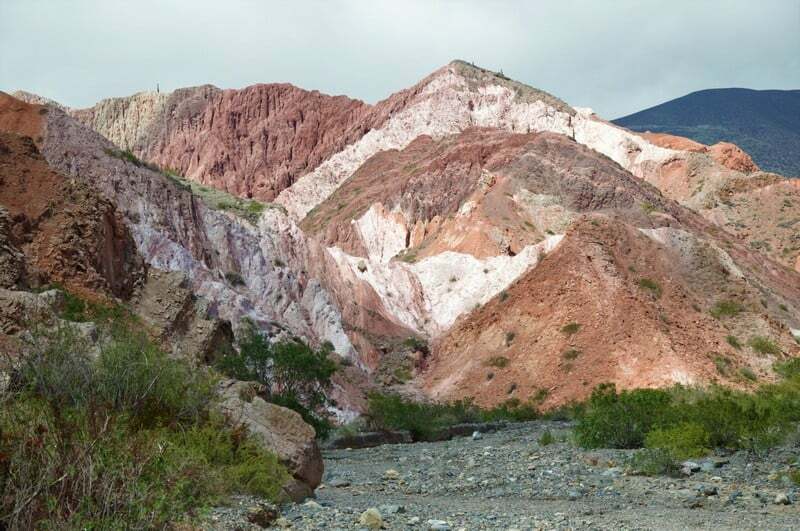 Behind the village, the Cerro de Siete Colores (translating as the “hill of seven colours”) lay its showpiece attraction. This geological oddity owes its characteristics to varied rock types and tectonic uplift. It was an easy, circular hike without significantly steep inclines, enjoyable save for the gusts of wind that now and again knocked me for six as I rounded a corner. Our home is full of treasures I’ve picked up on my travels across South America. 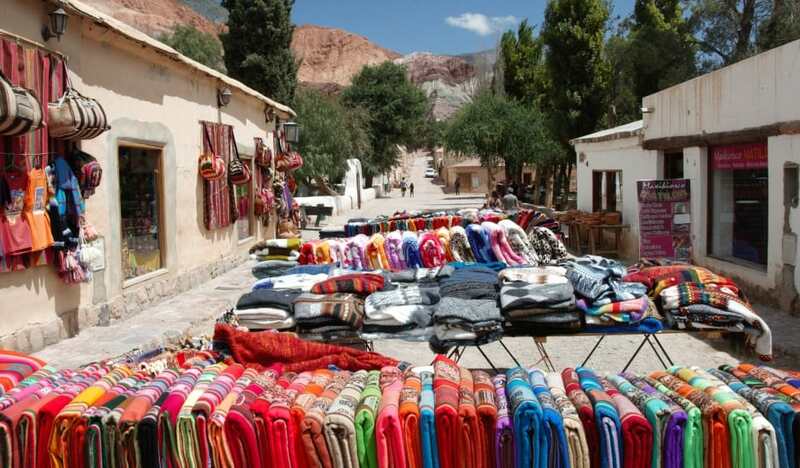 The market that snakes along Purmamarca’s dusty streets and under the shade of the trees in its plaza is a delightful one. I recommend building in plenty of time after your hike to pick up a souvenir or two. Bolivia may have the vast expanse of the Salar de Uyuni but a couple of hours’ drive from Tilcara is Argentina’s response. The Salinas Grandes aren’t as big, but they provide a more intimate experience. I arranged to meet a llama herder named Santiago and together we walked from his farm to the salt lake. He spoke little English, but we needed no words as we ambled across the flat plain that surrounded the lake. While the llamas rested, we enjoyed a picnic lunch on the lakeshore, not a soul about. Outside the tourist town of Tilcara, the most convenient base for travellers journeying along the Quebrada de Humahuaca, you’ll find a pre-Columbian site called the Pucará de Tilcara. It once was used for defence and occupies a small hillock on the edge of town. In places it has been unsympathetically restored, but the site you’ll walk around dates from the 12th century and once was a town housing around 2,000 people, about a third of the population of Tilcara today. Together with the small botanical garden nearby, it makes a pleasant afternoon’s outing. Tied to the dates of the cowboy festival, I arrived in northern Argentina a couple of weeks too early to ride the Tren a las Nubes, the train to the clouds. One of Argentina’s most thrilling heritage railways, it’s the fifth highest in the world. Though much of the journey currently operates by rail replacement bus service, what does still ride the rails takes passengers to the impressive viaduct of La Polvorilla which spans a high altitude desert canyon. It looks incredible – and that’s a good excuse to go back to this off the radar corner of Argentina for a second look.